A week from today on Wednesday, January 30th at 7:00 Wicked Peacock and Future Boston will be hosting a fabulous event called “Wicked Favorite Things” at the Emerald Lounge. 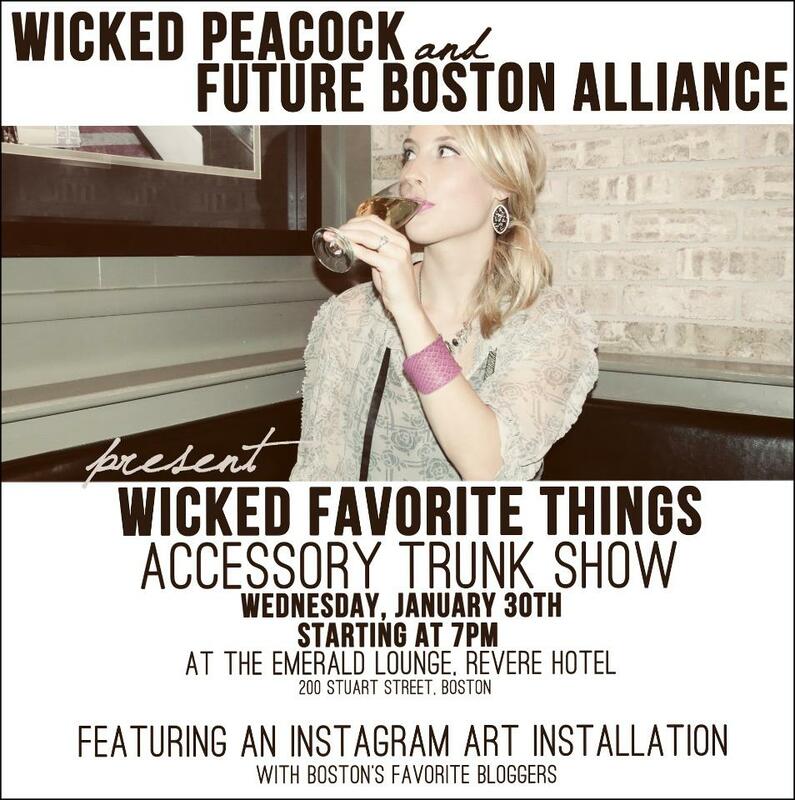 The evening will feature a signature cocktail, photo booth, and trunk sale with fabulous accessories from Wicked Peacock! I’m honored to be contributing to an installation of Instagrams along with 5 other lovely bloggers including Sami of A Glimpse of Glamour, Jaime of La Vie J’aime, Kristen of The Boston Fashionista, Guida of Love My Outfit, and Sarah of Boston Stylista. Here’s a quick sneak preview of what I’ll be displaying. If you’re in the Boston area I’d love for you to join me!